An internet website that offered free URL shortening services appears to have been a front created by British intelligence in order to spread messages and monitor activists involved in protests in Iran and the Arab world. The website was used heavily during the Iranian presidential election protests of 2009, which became known as the Iranian Green Movement. After a brief hiatus, the website was used again in 2011, as the Arab Spring revolts in North Africa and the Middle East were intensifying. The information pointing to the use of the website comes from documents leaked by Edward Snowden, the American former intelligence employee who has been granted political asylum in Russia. According to the leaked documents, the website, lurl.me, was devised by a specialist until of the Government Communications Headquarters (GCHQ), Britain’s intelligence agency that collects signals intelligence. The unit, called Joint Threat Research Intelligence Group (JTRIG), devised the website as part of an operation codenamed DEADPOOL. The leaked documents state that the purpose of the website was to operate as a “shaping and honeypot” tool, by helping disseminate messages in support of the protests while at the same time allowing the GCHQ to monitor the protesters’ online activities. Lurl.me first appeared in June 2009 as a self-described “free URL shortening service”, using the slogan: “we help you get links to your friends and family fast”. It was used repeatedly on Twitter and other social media platforms to spread messages against the government of Iran. But the vast majority of social media accounts that made use of the website, like @2009iranfree, were operational only for a short period of time, had few followers, and ceased all activity at the end of the Iranian Green Movement. By that time, hardly anyone was using lurl.me. But the website made its appearance again on social media in April of 2011, with messages against the government of Syria. According to Vice’s Motherboard website, Tweets using the lurl.me service appeared to be active only between 9 a.m. and 5 p.m. UK time, and only on weekdays. Both in 2009 and 2011-2013, lurl.me was used to instruct anti-government activists on how to avoid being monitored by the authorities. Some links contained instructions on how to access the Internet via satellite. Others provided directions on using proxies to access websites that were blocked by the authorities. At the same time, however, the documents leaked by Snowden show that the GCHQ also used the service to track the activities of anti-government activists who clicked on the lurl.me links, and even to ‘deanonymize’ (=to establish the real identity) of these users. 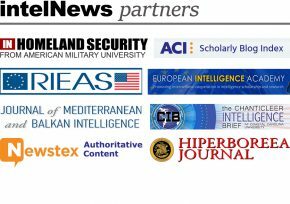 IntelNews first reported on JTRIG in February 2014, when its existence was first revealed by Snowden. The specialist unit has been associated with targeting self-described ‘hacktivist’ groups like Anonymous or LulzSec, using malware, social engineering, and other techniques. JTRIG also appears to have conducted online intelligence operations against the government of Argentina. Motherboard reports that lurl.me was last used in November 2013, shortly after Snowden began leaking files from his secret hiding place in Russia. Motherboard said it contacted GCHQ for a reaction to the lurl.me allegations, but the agency said it would “not comment on intelligence matters”. ►►‘Cuban Five’ spy member renounces US citizenship. Cuban intelligence officer Rene Gonzalez, who was a member of the “Cuban Five” spy group in South Florida, was released from a US prison in 2011, after serving 10 years for espionage. He was required to serve three years’ probation in the US. But on Friday US District Judge Joan Lenard ruled that Gonzalez, who had already been allowed to temporarily return to Cuba for his father’s funeral, could stay there if he renounced his US citizenship. Gonzalez is the first of the Cuban Five to return to the island. The other four men continue to serve lengthy sentences in US federal prisons. ►►US Defense Intelligence Agency contemplates austerity. Since 2001, intelligence agencies have had just about all money they wanted, but not anymore, as the cuts mandated by the Budget Control Act are hitting even previously inviolable spook accounts. In a reflection of this new reality, the Defense Intelligence Agency plans a conference with industry at its headquarters on June 27, 2013. Agency leaders will focus on “current and emerging challenges in the context of an increasingly austere fiscal posture”. ►►Report says Canada spies caught off guard by Arab Spring. The 2011 Arab Spring uprising in the Middle East came as a surprise to the Canadian government, which risks getting caught off-guard again without a new approach to gathering intelligence. This is according to a new report by Canada’s Intelligence Assessment Secretariat, a unit of the Privy Council’s Office, the bureaucratic arm of the Office of the Canadian Prime Minister. On the other hand, the report states, “there is no reason to believe that [Canadian intelligence agencies] did any worse than other allied agencies in its analysis of the Arab Spring, and in a few areas it appears to have done somewhat better”. ►►Yemen busts alleged Iranian spy ring. Yemeni president Abd-Rabbu Mansour Hadi called on Tehran to stay out of Yemen’s internal affairs last week, after security officials in Sana’a, Yemen’s capital, announced they had uncovered an Iranian spy ring there. Yemen’s government-run SABA news agency said the spy cell, which was allegedly led by a former commander of Iran’s Revolutionary Guard corps, had operated in Yemen as well as in the Horn of Africa, and that it had kept an operations center in Sana’a. An interior ministry official said all those detained were Yemenis. ►►CIA sued for killing US citizens in Yemen. Survivors of three Americans killed by targeted drone attacks in Yemen last year have sued top-ranking members of the United States government, alleging they illegally killed the three, including a 16 year-old boy, in violation of international human rights law and the US Constitution. The suit (.pdf), the first of its kind, alleges the United States was not engaged in an armed conflict with or within Yemen, prohibiting the use of lethal force unless “at the time it is applied, lethal force is a last resort to protect against a concrete, specific, and imminent threat of death or serious physical injury”. The case directly challenges the government’s decision to kill Americans without judicial scrutiny. ►►US intel official acknowledges missed Arab Spring signs. David Shedd, deputy director of the US Defense Intelligence Agency, the Pentagon’s intelligence arm, said analysts failed to note signs of the unrest across the Middle East and North Africa that exploded into the Arab Spring. Shedd’s comments were posted Thursday by the American Forces Press Service, a Pentagon information wire. They constitute a rare public acknowledgment of the US intelligence failure regarding the turmoil that has redrawn the Middle East’s political landscape, toppling autocratic rulers in Tunisia, Egypt, Yemen and Libya and now engulfing Syria. ►►Italy postpones court decision on wanted CIA operatives. The Washington Post has published a useful update on Sabrina DeSousa, one of nearly two-dozen CIA operatives who were convicted in Italy in 2007 for the kidnapping four years earlier of Egyptian cleric Hassan Mustafa Osama Nasr. The Americans kidnapped Nasr, known as Abu Omar, from the streets of Milan without the consent of Italian authorities. The Italians, who were themselves carefully monitoring Nasr, responded by convicting all members of the CIA team in absentia, and notifying INTERPOL. But last Friday, the Supreme Court of Cassation in Rome postponed its verdict after a two-day hearing aimed at deciding whether to uphold or overturn the Americans’ convictions. ►►Ex-Mossad chief urges Israel to prepare for military action in Syria. In an interview with British news network Sky News, former Mossad Chief Danni Yatom said last week that Israel must be prepared for the possibility of military attacks on Syria, which may deteriorate into war. He said his warning stems from the fear that Syria’s hundreds of tons of chemical weapons will fall into the hands of terrorists. “We would have to pre-empt in order to prevent it. We need to be prepared to launch even military attacks […] and military attacks mean maybe a deterioration to war”, said the former Mossad Director. ►►British spy agencies failed to predict Arab Spring. The Intelligence and Security Committee of the British Houses of Parliament has said in its annual report that British spy agencies had been surprised by the spread of unrest during the Arab Spring and failed to predict the dramatic uprisings that swept the region. The report also noted that the Arab Spring had exposed Britain’s decision to scale back intelligence assets in much of the Arab world, in favor of monitoring Iran and al-Qaeda. We at intelNews wrote about this in 2011. ►►MI5 chief says al-Qaeda threatens UK from Arab Spring nations. Brittan’s domestic intelligence agency chief, Jonathan Evans, has stated that al-Qaeda is continuing to gather a foothold in nations that experienced the Arab Spring. In his speech, Evans, who directs the UK’s MI5, warned that al-Qaeda is attempting to reestablish itself in countries that had revolted, and that “a small number of British would-be jihadis [sic] are also making their way to Arab countries to seek training and opportunities for militant activity, as they do in Somalia and Yemen. Some will return to the UK and pose a threat here”. With a suspected 100-200 British born Islamist militants operating in the Middle East and Africa, the MI5 Director General warned that the coming summer Olympics in London made for an attractive target. ►►Russia to conduct airborne surveillance of Canada’s infrastructure. Canada’s National Post newspaper reports that Russian surveillance aircraft will conduct a flyover of Canada’s military and industrial infrastructure in what appears to be an annual Russian air reconnaissance mission. For the past ten years and under the Open Skies treaty, Russia is allowed to conduct flyovers of key Canadian sites. This will be the first flyover since the arrest last January of Jeffrey Paul Delisle (pictured), a Royal Canadian Navy officer, for allegedly spying on Canada on behalf of the Russians. ►►Japanese official who leaked DRPK missile info found dead. A Japanese Foreign Ministry official, who was largely thought to the source of leaked information regarding a Chinese missile technology transfer to North Korea in April, has been found dead. The official, previously under investigation for publicly disclosing national security information, was found hanged in his Chiba prefecture home on June 20. Additional details, including the individual’s name, were not made available, but Japanese government officials did indicate that the death did not appear to be suspicious.